I have a habit of picking up cheap linens at thrift stores. 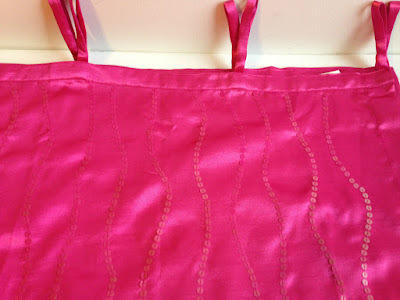 They're a fantastic way to get fabric on the cheap! 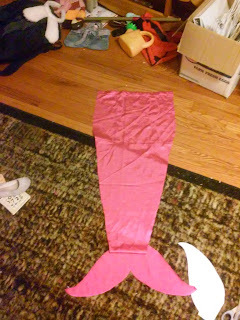 A while back I picked up a hot pink satin curtain at Goodwill. After turning part of the bottom of the curtain into a pillow case for my daughter, the remainder languished in my fabric stash for months. 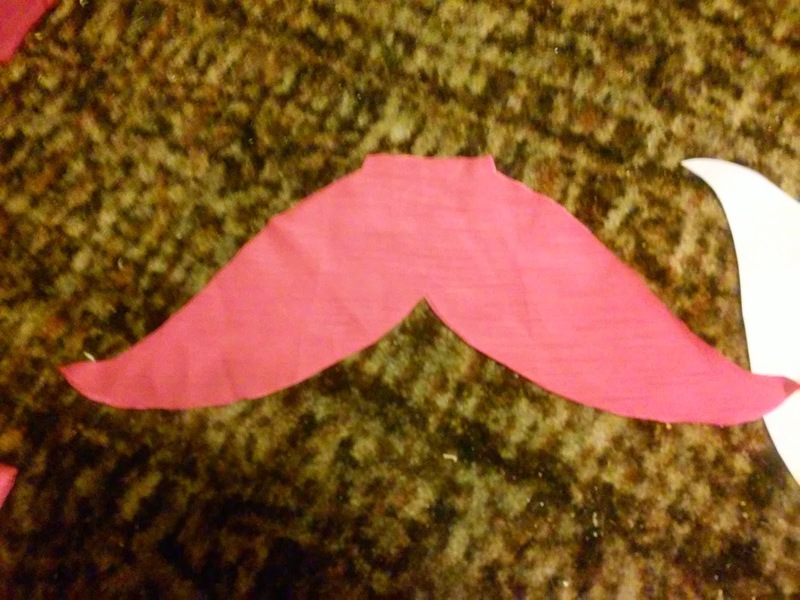 But I recently had an idea that allowed me to use nearly all of the remaining curtain fabric! Fancy sequined top of the curtain. I spent a Saturday evening watching Stargate: Atlantis and cutting out pieces and removing extra sequins. My daughter is super excited to wear her new mermaid tail! I love getting linens at the thrift store, they are a great buy! Great job, and she looks adorable! Really clever! 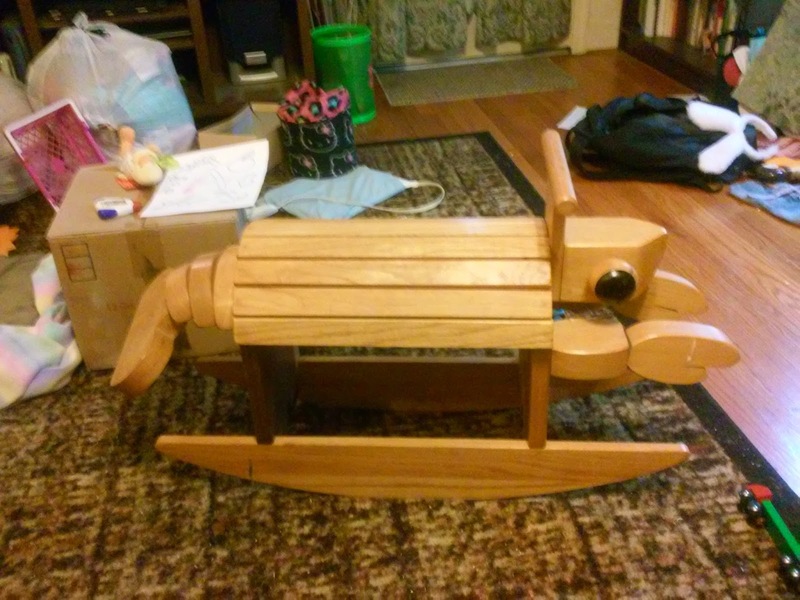 We have (from years ago) a rocking horse version of your lobster, I believe my husband got the pattern from Sunset Magazine. 1. I love looking at the linen area at thrift stores and general dollar stores too. Such a steal. 2. 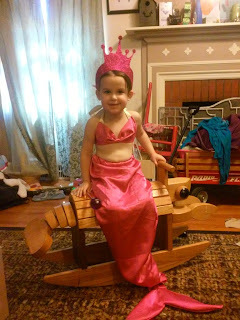 I would be so excited to wear a cute mermaid costume too! She's adorable and she definitely looks happy.